Put Your Payment Options in Their Pocket! 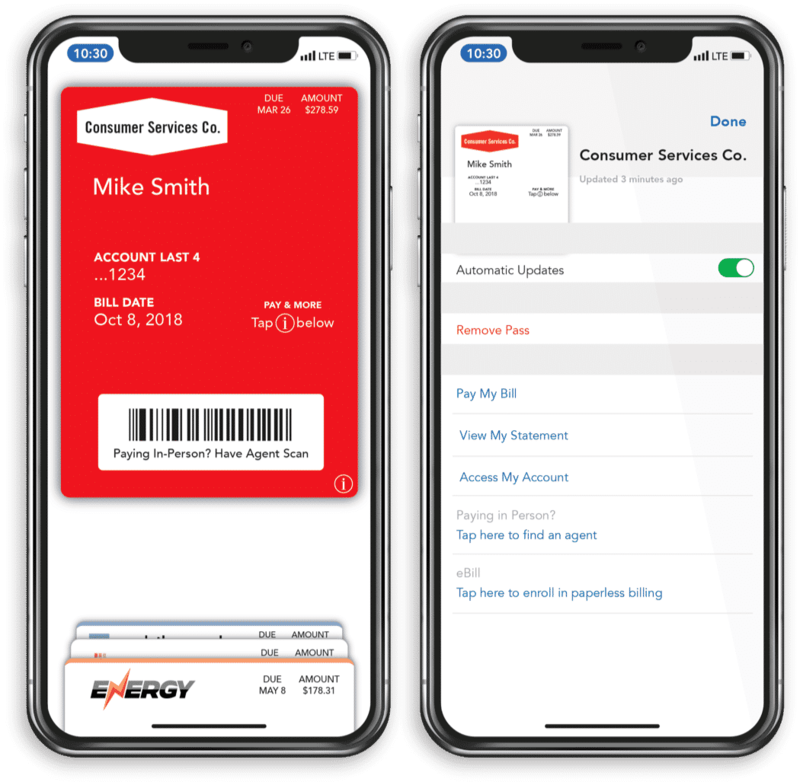 The Clearwater e-Wallet puts your company’s bill right in your customer’s smartphone and delivers actionable, instant messages about their account to their screen. The e-Wallet “pass” is similar to a boarding pass or event ticket that is added to the native wallet apps on both iOS® and Android® smartphones. It includes account information, amount due, due date as well as any account payment/management links to your site. Our e-Wallet allows you to send payment reminders to your customers that they can easily tap, open their wallet app and click to pay or schedule their payment. You can also send payment receipt notices, service notifications, marketing messages, etc. Your customers will love e-Wallet because it is so easy to enroll. They simply click on a link or read a QR code that you provide, tap “Add” on the pass and they are done. No clunky app to download, update or register a user/passcode. e-Wallet is a powerful tool that can improve many facets of customer payment for your organization. 20% of customers enroll within 12 mos. Contact us today for a demo to see how simple it is to add Clearwater e-Wallet to your payment mix and start seeing the results.